Last week I went Christmas shopping with my mum. Whilst swinging through the make up aisles in Boots we noticed that Max Factor were giving away a free gift if you spent over £15 on their products. Lucky old me! Mum wanted a couple of things and I was the lucky recipient of the gift box. Inside there are 3 products and some discount vouchers for £3 off of the Whipped Creme Foundation. Vouchers are all well and good but it is the products that are the real draw, as only too often the voucher remains unused and dog-eared in a corner of my wallet. The free gifts were 3 full sized products for eyes, lips and nails. 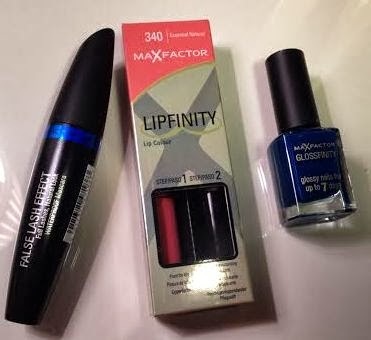 There was a Max Factor False Lash Effect Mascara in black/brown, a Max Factor Lipfinity Lip Colour in 340 - Essential Natural and a Max Factor Glossfinity Nail Polish in Cobalt Blue. My favourite of the 3 is undoubtedly the Lipfinity Lip Colour. I'm sure the girl in store mentioned that this shade 340 - Essential Natural was a limited edition, in which case I am really pleased I snagged this gift box. 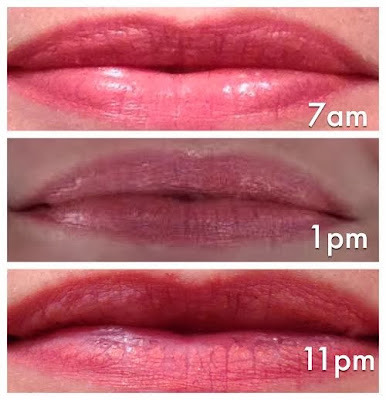 If you aren't familiar with the Lipfinity Lip Colour, it comes in two parts - a liquid colour with a wand applicator, which dries matte and a twist-up clear balm stick. You apply the clear balm over the colour base once it has dried. You can also reapply the clear balm throughout the day to add shine and moisture. You have to hand it to them, they couldn't have chosen a more apt name if they'd tried. It is a long wearing lipstick that is for sure. If you don't believe me - just swatch it in store, let it dry then try your best to scrub it away... I promise you, once dry this stuff really does not budge. That said, you really want to be careful with your application as smudge from this isn't something you can quickly rectify as you dash out of the door. 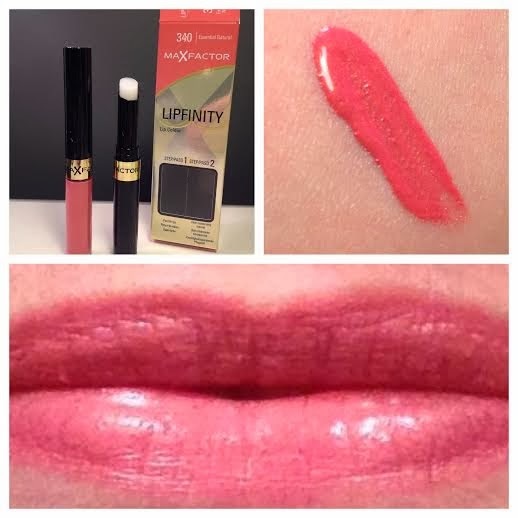 I have seen negative reviews of Lipfinity online and it seems to be a bit of a marmite product. I love it because there is a huge range of colours to choose from, it needs one application a day, it survives food & drink and even a whole night's sleep. I have literally used tube after tube of this stuff over the years. However, some cautionary notes. The trick for success rests with the application. You need clean dry lips - no primer, no balm and no foundation. You must apply the colour base in an even layer that isn't too thick. Work quickly before it dries and whatever you do don't be tempted go back and apply a second layer. If you do it will go lumpy and flaky and horrible. Trust me - I once witnessed a friend wrestle with this reapplying several layers in a bright red shade and it wasn't pretty. I will do a post on all the shades I have soon, but I have found the darker colours have better lasting power. I will admit that over time the colour flakes, but you can reapply the clear balm to help with this. Frankly if one colour application at breakfast time is still visible at bedtime I can withstand a little flaking. To demonstrate it I did a little test throughout the day. I applied it 7am and ate and drank as normal throughout the day. I think I only bothered to reapply the balm once during the day but by 11pm you can still see the colour albeit a bit flaky, but for 16 hours wear that is not bad at all. Obviously unless someone is peering really closely at your mouth the flaking wouldn't really be noticeable. It just depends whether this bothers you or not. I will say from the off that I like this mascara but I don't love it. Recently I have been singing the praises of the Max Factor Clump Defy Mascara which I think gives much more of a false lash effect than this one. To start with I do usually prefer to use a black mascara rather than brown. My colouring is fair with blond hair and blue eyes, so theoretically I am more suited to brown. Oddly I prefer a brown eyeliner but my mascara is always black. My lashes are naturally quite dark though so perhaps that helps me carry it off. The wand of the False Lash Effect mascara is quite chunky. I always find these messier to apply as the risk of smudging up your eyelid is greater and this was no exception. You can see from the pictures below, the mascara gave a nice natural look. 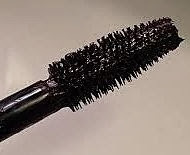 But it is nowhere near the impact that I have easily achieved with other mascaras. Whether it is the wand, the formula or the application I don't know. 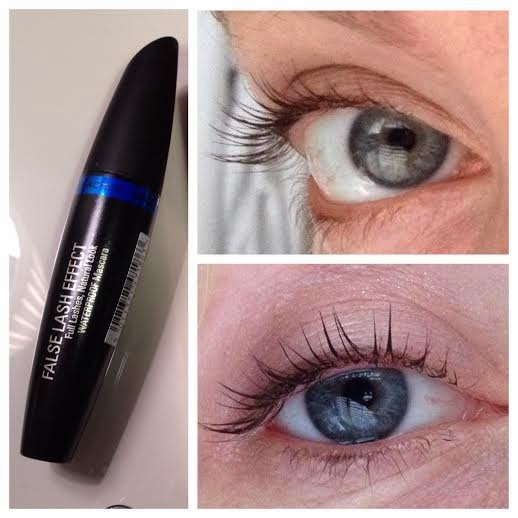 Lily Pebbles recently wrote a great series of Mascara Workshop posts which discussed all of these factors - take a look and see what you think. Glossfinity promises glossy nails for 7 days and if its staying power is anything like Lipfinity then this will be a good find. I haven't tested it yet but in this post, Really Ree tested a different shade and confirmed impressive lasting power throughout the 7 days. I will keep you posted when I decide to dip a toe (or a finger) into the world of blue nails. 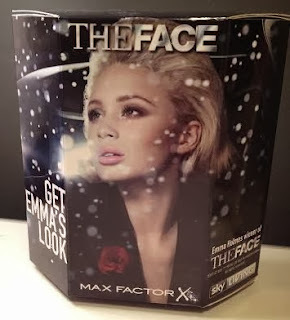 All in, Max Factor's The Face Gift Box is a great freebie. The lip and eye products are quite subtle to contrast against the bold nails and if you are interested in the Whipped Creme Foundation you can make use of the £3 off vouchers. It is a pleasant surprise to get a wearable lip colour in a free gift. I have a collection of dodgy pinks and frosted lipsticks from free gifts which will never see the light of day. You can get your hands on this free gift when you spend £15 or more on Max Factor products at Boots here for a limited time only. What do you think? Have you tried this box or are there any other great free gifts floating around at the moment?